“The family would ask that their privacy be respected at this difficult and emotional time. There will be no further comment at this stage.” His publicist said he died of heart failure. Thames Valley Police said South Central Ambulance Service attended a property in Goring in Oxfordshire at 13:42 GMT. Original reports stated that Police said there were no suspicious circumstances. Michael was set to release a documentary in 2017 rose to fame as a member of Wham! The group were known for their hits Club Tropicana and Last Christmas. Michael sold more than 80 million records worldwide. His 1987 debut solo album, Faith, has on its own sold more than 20 million copies worldwide.Michael garnered seven number one singles in the UK and eight number one hits on the Billboard Hot 100 in the US. In 2008, Billboard magazine ranked Michael the 40th most successful artist on the Billboard Hot 100 Top All Time Artists list. The singer had had a series of health issues over the years. On 26 October 2011, George Michael cancelled a performance at London’s Royal Albert Hall due to a viral infection. On 21 November 2011, a hospital in Vienna admitted Michael after he had complained of chest pains while at a hotel just two hours before his performance at a venue there for his Symphonica Tour. The singer was later confirmed to have suffered from pneumonia and, until 1 December, was in an intensive care unit. While Michael appeared to be “in good spirits” and responded well to treatment following his admittance, on 25 November hospital officials said that his condition had “worsened overnight”. This development led to cancellations and postponements of Michael’s remaining 2011 performances, which had been scheduled mainly for the United Kingdom. 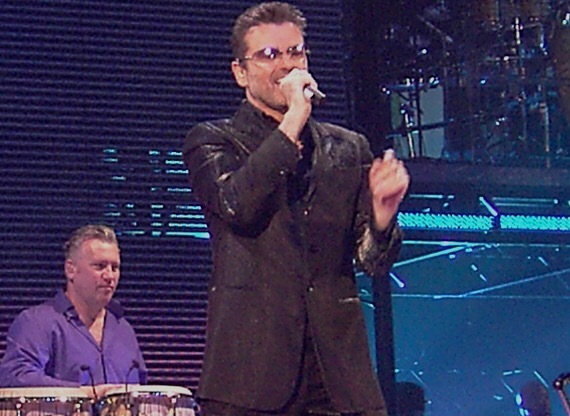 On 1 December 2011, doctors at the hospital in which George Michael had stayed announced that the singer was “steadily improving” and that he had moved out of the intensive care ward. On 21 December 2011, the hospital discharged Michael. On 23 December 2011, Michael made a public speech outside his house in Highgate, London, in which he stated that the staff at the Vienna General Hospital had saved his life and that he would perform a free concert specifically for those staff. While making the speech, he became emotional and breathless. During the speech, he also mentioned that he had undergone a tracheotomy. He also revealed that, after waking from the coma, he had a temporary West Country accent. 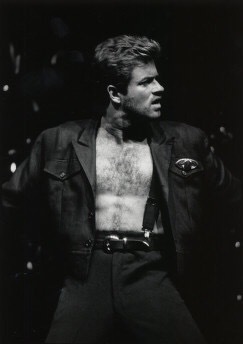 On May 2013, George Michael sustained a head injury when he fell from his moving car on the M1 motorway, near St Albans in Hertfordshire, and was airlifted to a hospital.